Amongst the large number of papers produced by Suffolk County Council in preparation for next week's Cabinet decision on libraries there is a paper for Cabinet analysing the consultation results. Appendix 1 of the Library Service for the Future paper is the document. Yesterday Suffolk wordblog produced a post analysing this data in more detail. Suffolk are already admitting that nearly 80% of people wanted "to keep the service the way it is". 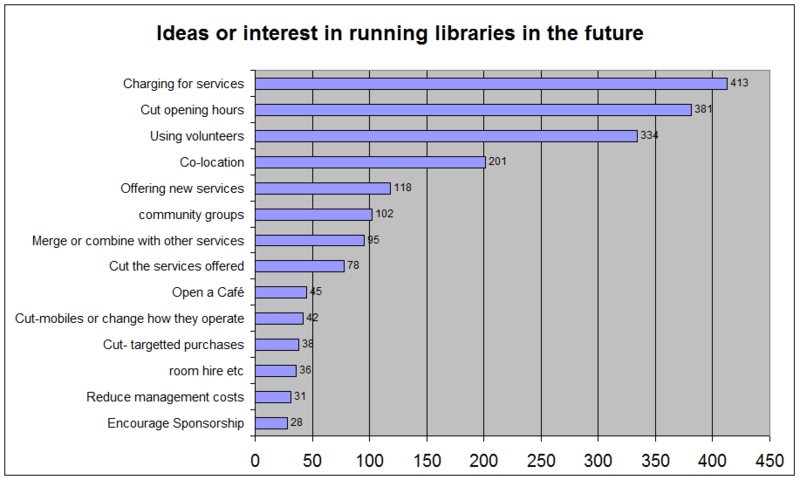 Wordblog shows that in fact only 2.6% of people wanted libraries run by community groups as Suffolk suggested. Out of 3,839 people responding, online or by completing paper forms, 3,099 (four out of five) simply stated they wanted libraries to continue to be run as they are by the county council. 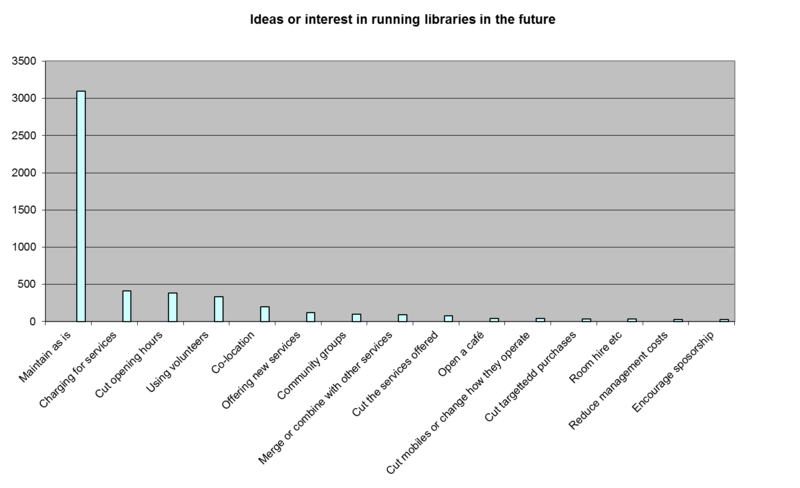 Of the remaining 794 responses most suggested savings or fund raising ideas for the existing service. 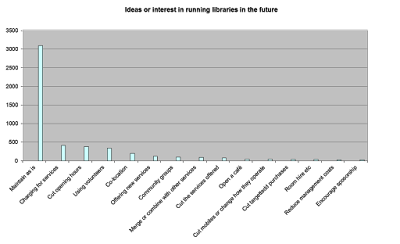 Only 102 supported community groups: 2.6% of responses. 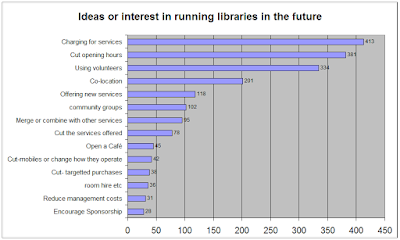 This prompted library campaigners to raise to the challenge and we have been able to "do the impossible" and produce a graph to show this data.